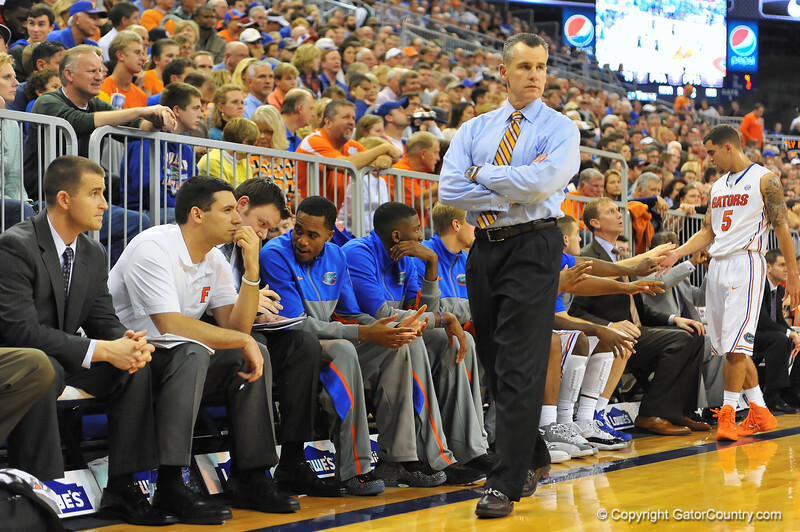 Florida head coach Billy Donovan watches on from the sideline during the second half. Florida Gators vs Florida State Seminoles. Gainesville, FL. November 29, 2013.